This is a little preview of a much more extensive review of some of my favorite Cyber Week sale products. That one will be going live tomorrow, but I thought I’d break up the content and post some of it today! If you missed it, Mitch and I recently did an enormous sale roundup, complete with super easy-to-shop spreads and a BIG giveaway. ($250 to shop our favorite weekend sales as well as a $250 Lands’ End gift card. To enter, just comment on the blog post.) We’ll be announcing the two winners late tonight! 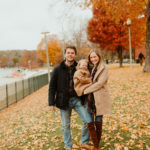 Edit: Random winner of the $250 cash giveaway is Cameron Y. Lands’ End gift card giveaway has been extended until 11/27. You can still enter by commenting below! Black Watch Plaid Pants: 50 percent off with code “TGIF.” I love these! Unfortunately/fortunately, I can’t fit into mine this season with the baby bump. ;) But I wore the pants to a bunch of parties last year, and received a ton of compliments. 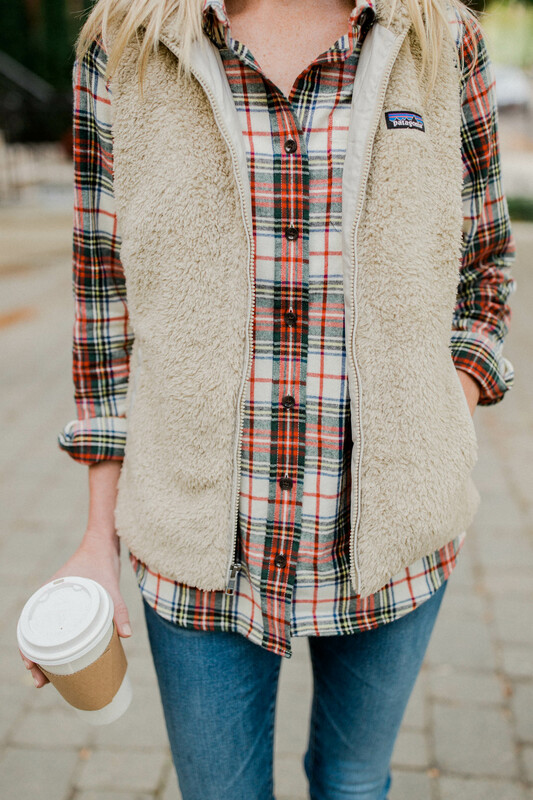 Plaid and festive yet a bit understated and warm. Looks fantastic with a black sweater! 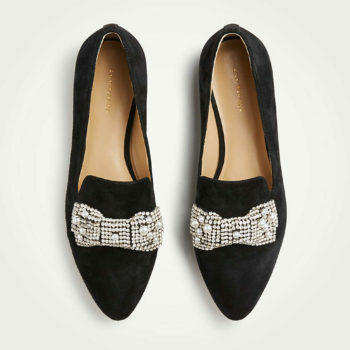 Kate Spade Pumps: 30 percent off; discount applied in cart. FAVORITE black pumps because they’re so polished. This is a great deal on them. My pair is from last year, but I have the newer pair in navy and they’re just as comfy. Can’t recommend them more; you’ll have ’em for years! 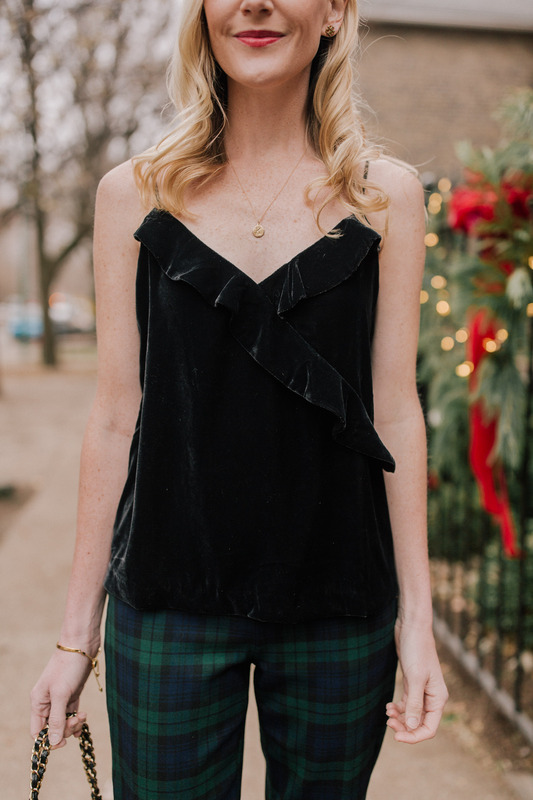 Tartan Ruffled Shirt: 40 to 50 percent off with code “ADD2CART.” Two things about this shirt: it’s very thin, and it runs large. (Order one size down.) But it’s SO cute. Brooks Brothers has a similar one if you’re looking for more warmth… and one in Stewart plaid, too. This one is adorable as well! Knotted Pearl Necklace: 40 to 50 percent off with code “ADD2CART.” Huge fan of this one, as the longer length works great for parties. Here’s the traditional multi-strand pearl necklace. Also love this sparkly holiday necklace which I wear all the time! Bow Coat: 40 to 50 percent off with code “ADD2CART.” STOP, I know, right? Haha; seriously, though. This was carried at regular J.Crew years ago and I was so excited to see Factory bring it back. 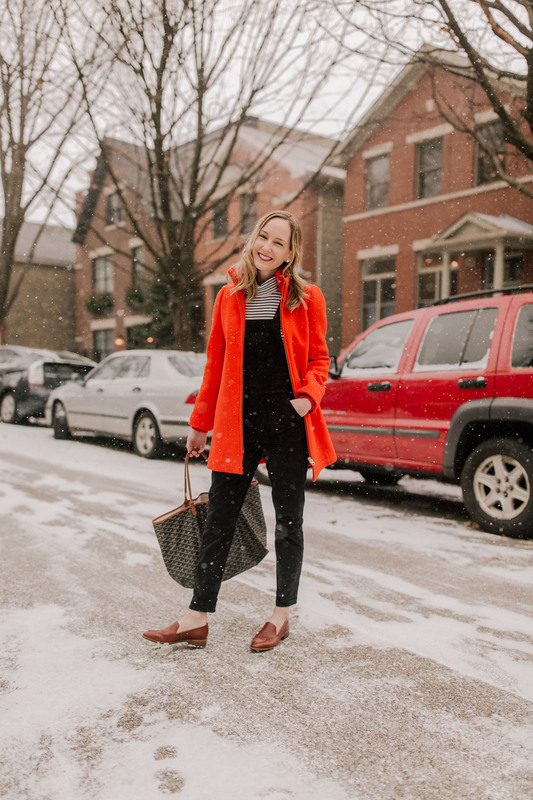 Runs TTS — I always wear a size 2 in J.Crew Factory coats, and that’s what I’m wearing here! 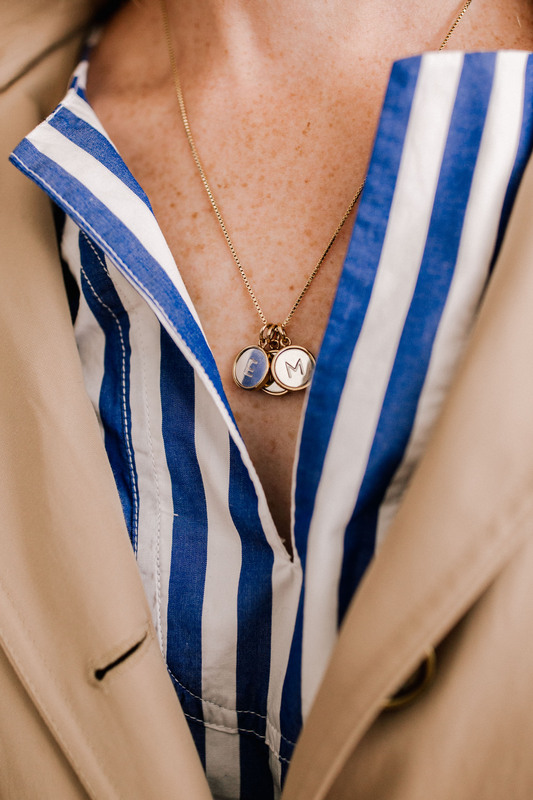 $40 Kate Spade Initial Necklace: Here’s the alternative! This makes for the PERFECT gift for any women; nearly all my girlfriends in Chicago have it, either with their initial or their kids’ initials on it. $40 is such a steal! 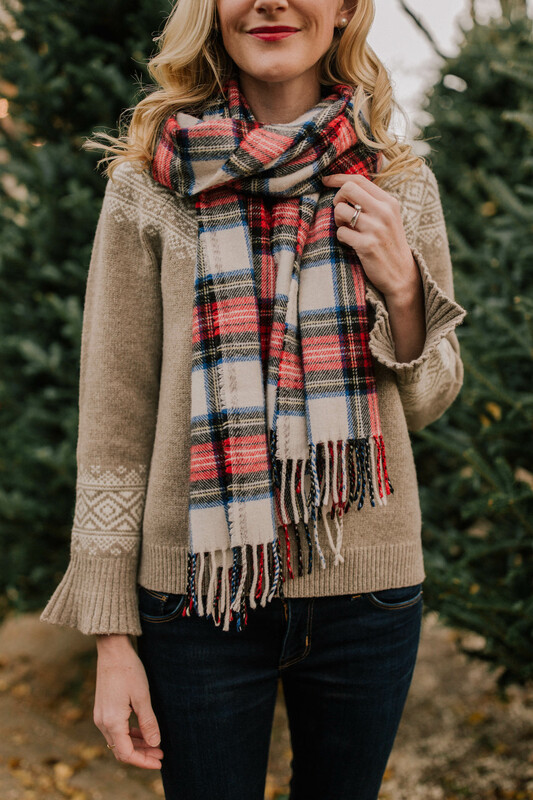 Plaid Scarf: Use code “GOWILD” to take 20 percent off everything, 25 percent off orders over $500, and 30 percent off orders over $1,000. This is an awesome scarf because it’s a plaid that can be worn after the holidays. The price point is wonderful, too. It’s one of Tuckernuck’s bestsellers, and it comes back every year! Fisherman Sweater: 20 percent of clothing and outerwear with code “THANKS20.” See below! 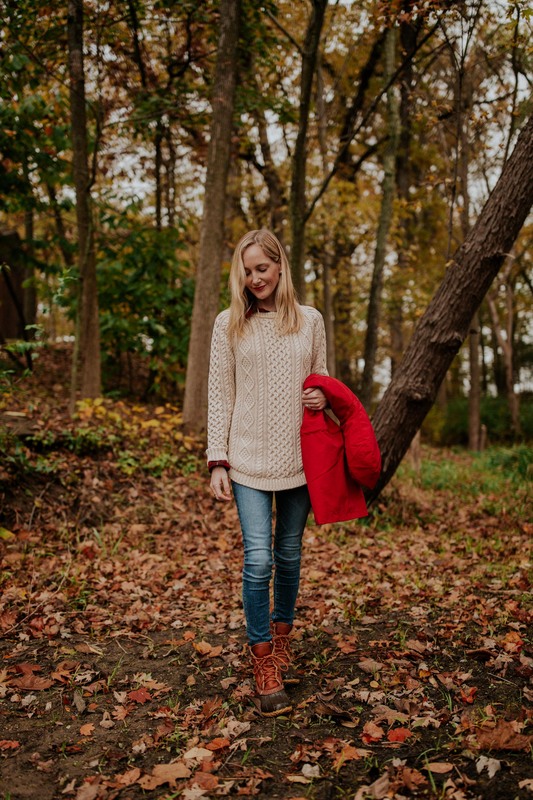 Fisherman Sweater 1: 20 percent of clothing and outerwear with code “THANKS20.” Every preppy girl needs one! This is the classic cut, and it runs pretty small. I ended up going up two sizes so I could have a looser fit, but most of my girlfriends went one size up. Fisherman Sweater 2: 20 percent of clothing and outerwear with code “THANKS20.” This is the one I really love. I just think the cut is a lot more flattering! This one runs TTS. Cocoon Coat: 50 percent off with code “TGIF.” WOO! Okay, so most colors are sold out since they’re currently 50 percent off, but the gray one is still in stock, which I also own and LOVE. (It’s a classic. You can’t go wrong!) The cocoon coat is made out of Stadium Cloth Wool, which is J.Crew’s warmest wool, and it’s truly the warmest wool coat I’ve ever owned. Trust me: you need it in your life. Note: It runs large! I would go down a size. 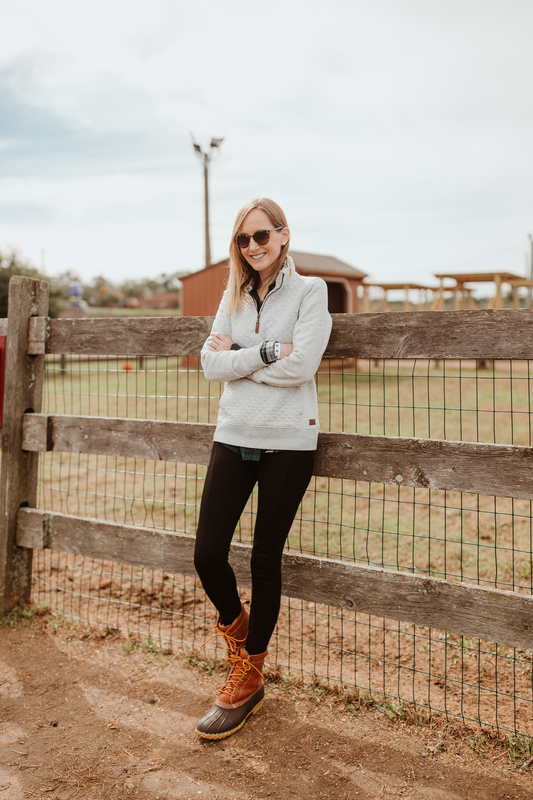 Quilted Quarter-Zip Pullover: 20 percent of clothing and outerwear with code “THANKS20.” Another great gift idea! Looks similar to the Patagonia Quarter Zip, but I appreciate the fact that not everyone owns this one. It runs TTS. Faux Fur Vest: Use code “GOWILD” to take 20 percent off everything, 25 percent off orders over $500, and 30 percent off orders over $1,000. GET THIS! 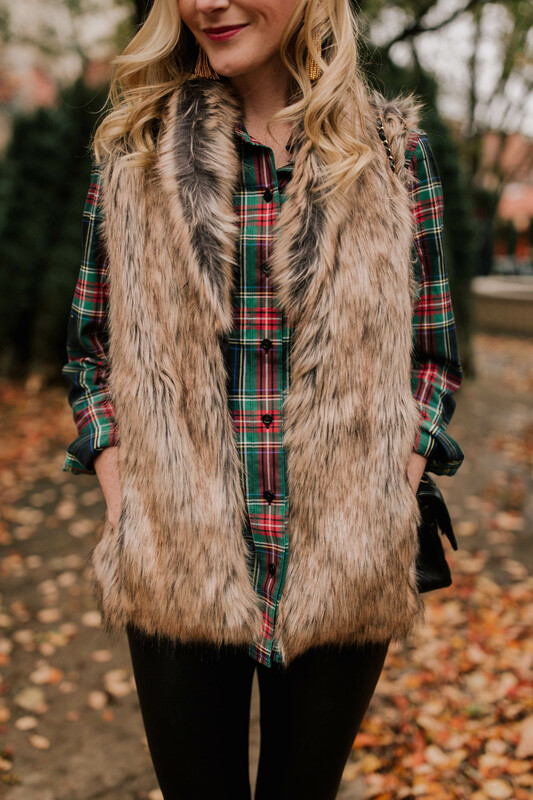 I know I keep writing about it, but you’re going to be really sad when it sells out and then you’ll be like, “I should have listened to Kelly!”  But seriously: I’ve tried so many faux fur vests over the years, and this one is by far the best, and won’t cost you an arm and a leg. Runs big; go one size down. 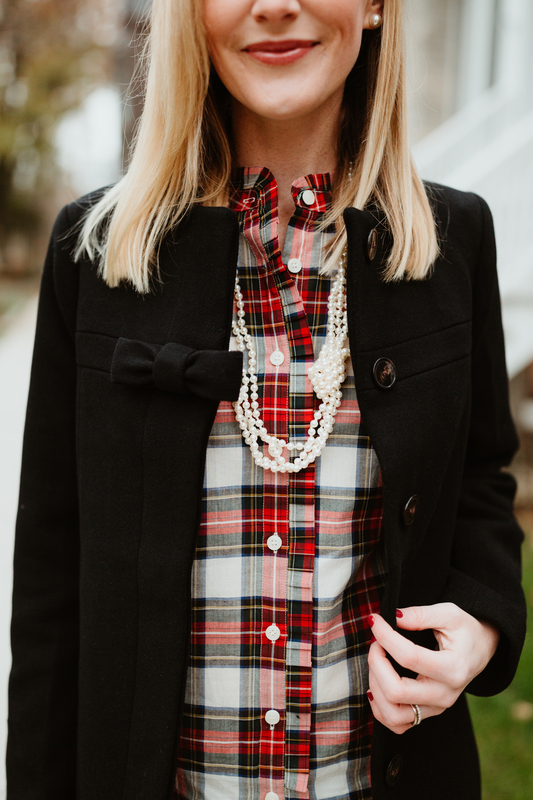 Tartan Shirt: 50 percent off with code “TGIF.” Yassss! 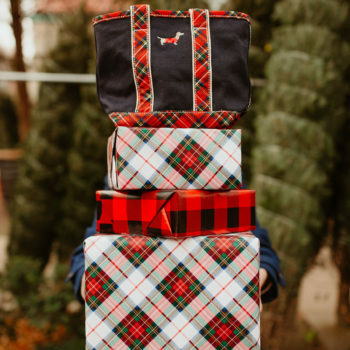 You can check out all of my favorite tartan products from J.Crew here, but this is one you’ll have forever. Mine’s an old version, but the newer one is spectacular, too. :) Looks great with jeans but also dressed up with skirts and fancier pants. Runs TTS. Faux Leather Leggings: Use code “GOWILD” to take 20 percent off everything, 25 percent off orders over $500, and 30 percent off orders over $1,000. Every girl needs a pair, right? Great deal. Runs TTS. Cashmere Topper: Use code “GOWILD” to take 20 percent off everything, 25 percent off orders over $500, and 30 percent off orders over $1,000. One size fits all, so you really can’t go wrong! Lodge Coat: 50 percent off with code “TGIF.” This one has a tighter fit. I ordered my regular size, but I wish I’d gone up a size to accomodate chunkier sweaters. Love the cut, and it features Stadium Cloth Wool as well, so super warm! 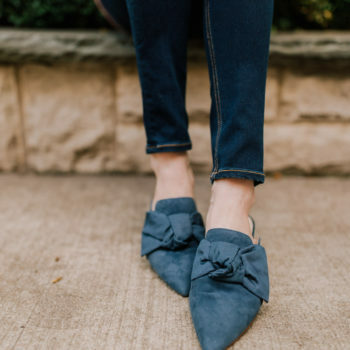 Madewell Loafers: Already marked down! Do you remember how much I raved about these loafers last year? They’re on sale! Insanely comfy, and I love that they look more polished than traditional loafers. Have totally worn these out on Friday and Saturday nights to casual restaurants and bars. Run TTS. L.L.Bean Vest: 20 percent of clothing and outerwear with code “THANKS20.” I wish I had a better, in-focus photo of this vest, but it’s GREAT. Love the rugged look, and I’m constantly getting questions about it. Runs big. I’d recommend going down a size. 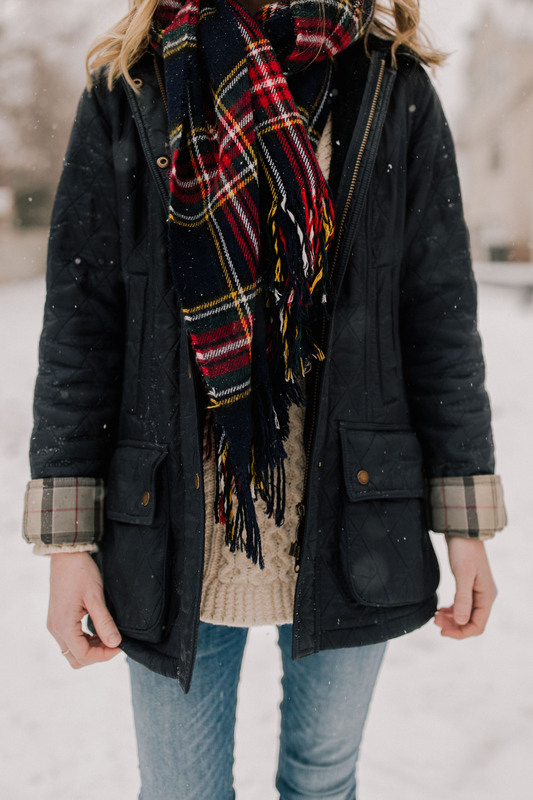 Plaid Scarf: 40 to 50 percent off with code “ADD2CART.” A different take. This is more of a blanket scarf! Love that it can be worn as a shawl, too. J.Crew Topcoat: FULLY IN STOCK. 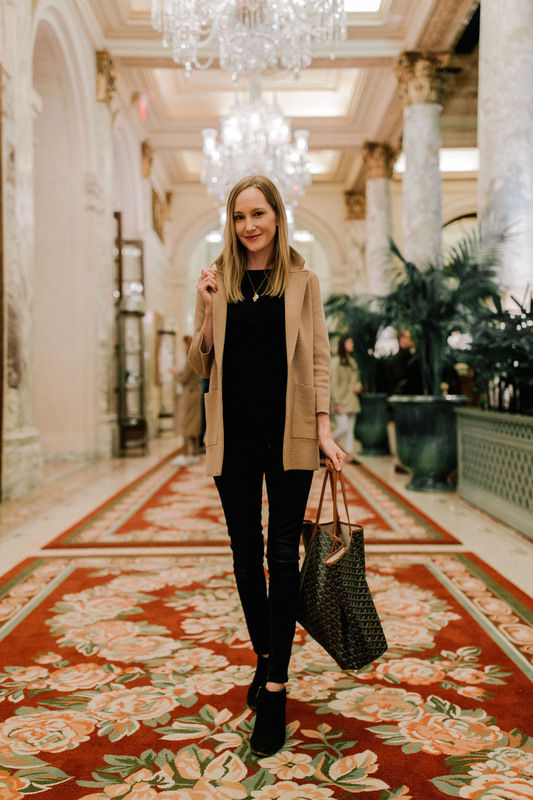 This isn’t a winter coat, but it’s one of my go-to fall coats. So preppy! Original post (and full review) here! 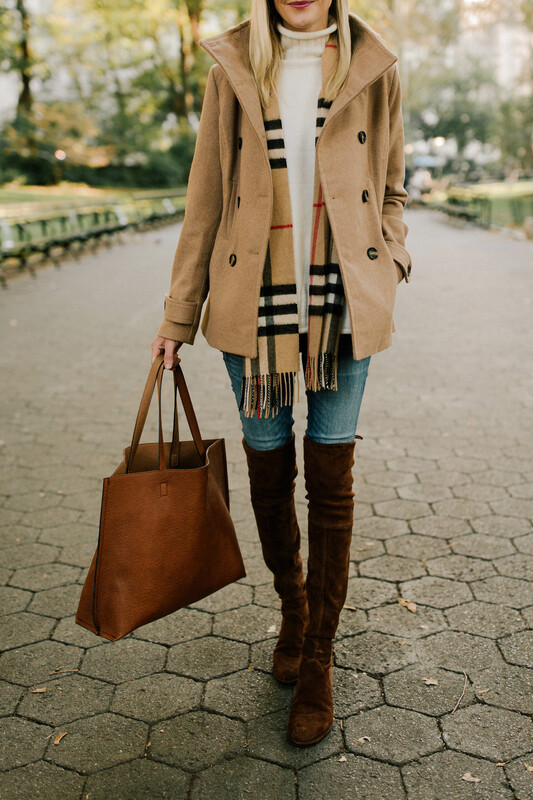 $38 Pea Coat: It’s only $38! This is a gift that will make you look like you spent way more than you actually did. ;) It’s a fall coat, but a wonderful one nonetheless. (And perfect for those of you who live in warmer climates!) Runs small. Go up one size. 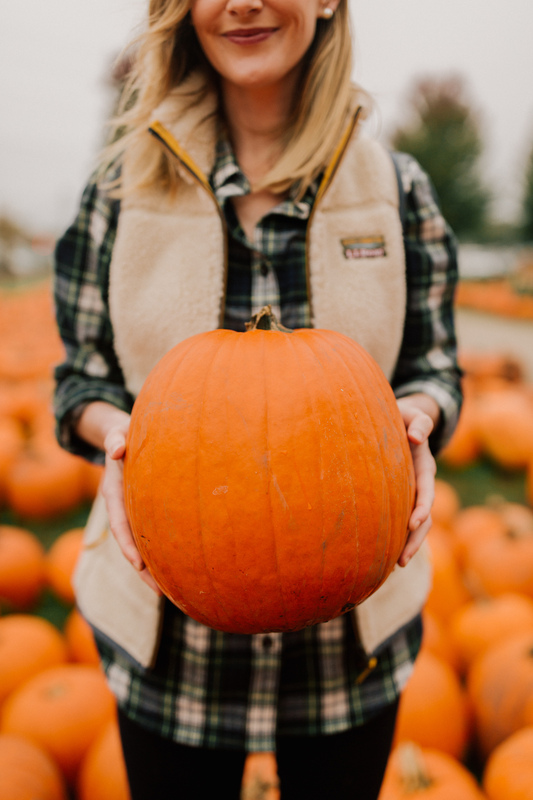 Patagonia Vest: Not on sale, but wanted to link it since again, it’s prominently featured in the photo. Good price, though! Runs slightly small. I went up a size.